Compunetics, a leading manufacturer of rigid, flexible, and rigid-flex printed circuit boards, announced today that it has been awarded an IPC-6012/600 Qualified Manufacturers Listing (QML) from IPC’s Validation Services. 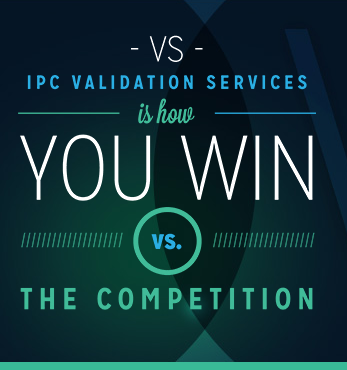 IPC is a global industry association dedicated to the competitive excellence of all facets of the electronics industry. The certification marks Compunetics as the first company to attain the highest standards of circuit board manufacturing quality; this assures a consistently reliable end product for its customers. The testing process involves passing a three-day, on-site audit by Validation Services, and requires board coupon testing every quarter along with passing periodic factory audits. IPC-6012, Qualification and Performance Specification for Rigid Printed Boards, covers qualification and performance of rigid printed boards, including single-sided, double-sided, with or without plated-through holes, multi-layer with or without blind/buried vias and metal core boards. It addresses final finish and surface plating coating requirements conductors, holes/vias, frequency of acceptance testing and quality conformance as well as electrical, mechanical, and environmental requirements. Compunetics can now be found on IPC’s Qualified Product Listing database here. To learn more about Compunetics, visit www.compunetics.com. To read the entire announcement, click here.